Yes kids, it’s that time again where we wave buh bye to the year and welcome in a new one. Instead of words this NYE, I’ve decided to post up some pictures which sum up the last 12 months before finishing off with my top 20 LPs of 2012. Thanks to all the bands, promoters, PRs and mates who hooked me up with records, gigs and good times.Here’s to 2013. May 13, 2012. 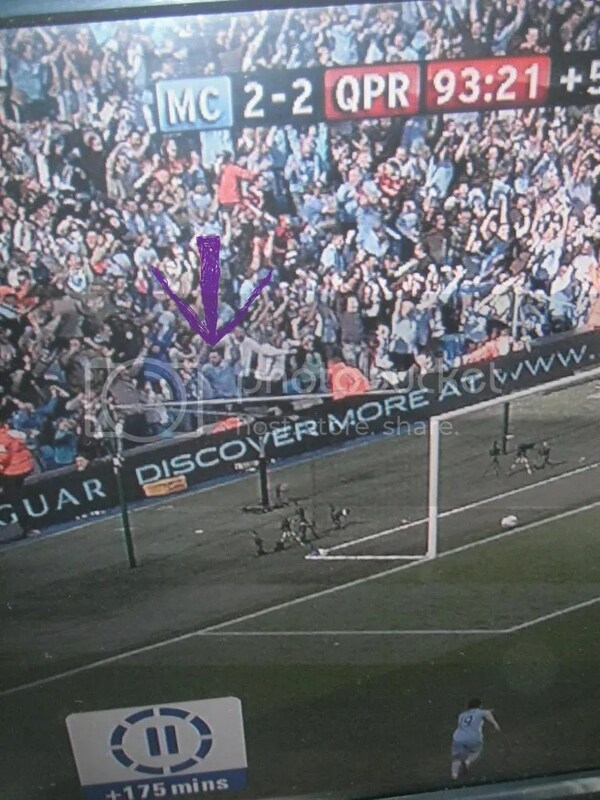 I’ll remember this day until they put me in a pine box.Kinda crazy to think that long after we’re dead, people will still be able to see us on this footage of City winning their first Premier league title. Can you spot me and my Da? Handy hint: We’re under the giant purple arrow…. 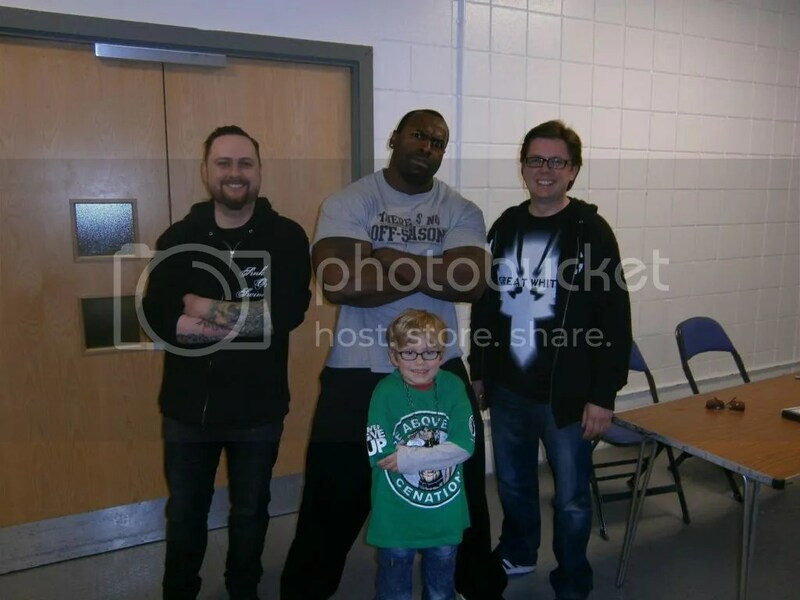 Chilling like villains backstage at the Odyssey with the WWE alongside my brother and nephew.Also-big thanks to the Celtic Warrior Sheamus for hooking us up and being an absolute hero. Here’s a clip of Therapy? playing ‘Exiles’ at the Tall Ships in Dublin this summer.Y’know…I might refer to myself as “the wonderful Edwin McFee” for the duration of 2013 (the quality’s amazing, eh…..?). Mad props to the Therapy? boys. My fanzine, Generation Why, (which started the ball rolling on this mental job of mine) celebrated its tenth birthday. There was a lot of party rocking in a variety of different places with a number of different people this year.Here’s to more adventures. I finally got that Iron Maiden mask I’ve always wanted. …and that Betty Banner tattoo I’ve always been looking for too. And lastly (but certainly not, um, leastly…) here’s my Top 20 LPs of 2012.It’s been a great year for records and hopefully 2013 will be just as good. 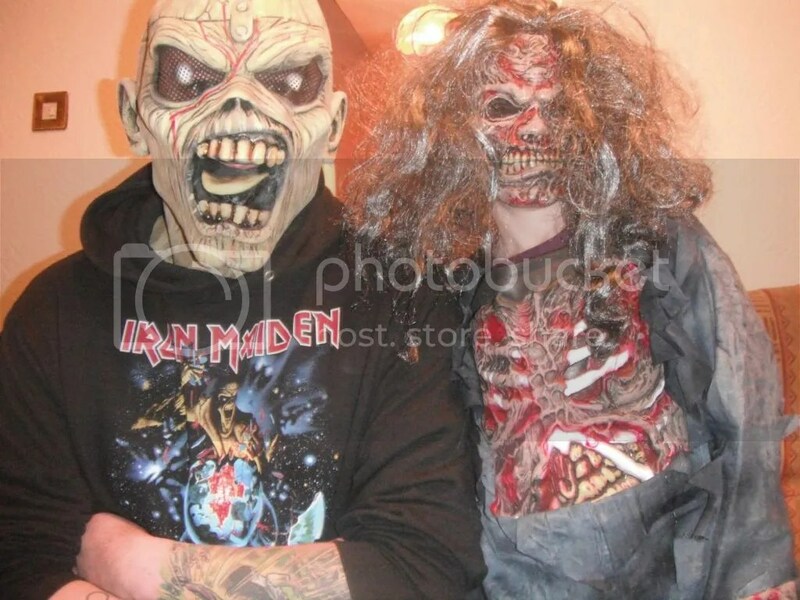 Happy New Year and Up the Irons! 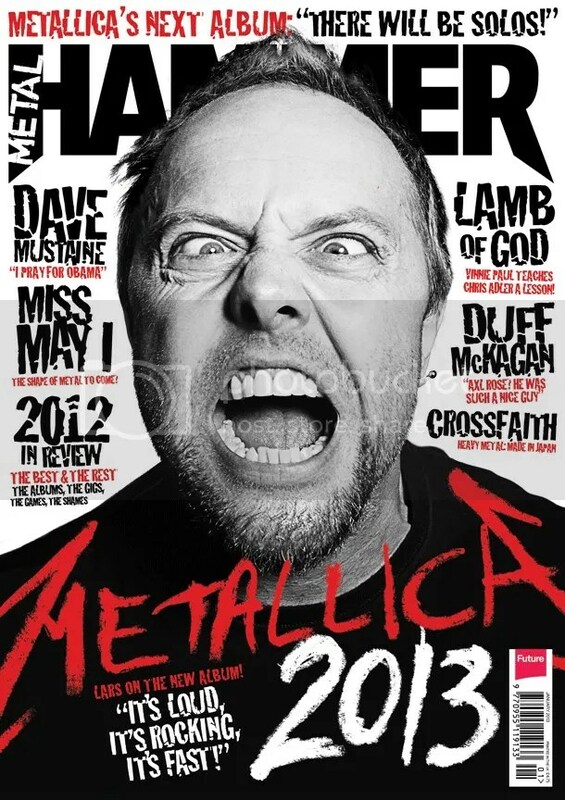 The Christmas/end of year Metal Hammer is out this week and as is customary, the Top 50 albums of 2012 (voted for by writers for the mag like myself) are revealed.Sadly this year, there wasn’t enough room to print the individual lists of all the scribes (boo!) but since I’m awful good to you Dead Horse readers I’ve posted up mine below. Towards the end of the month I’ll also post up the less genre-specific list I sent to the other mags I write for,but for now, without further ado, here’s my pick of the heaviest records of ’12. 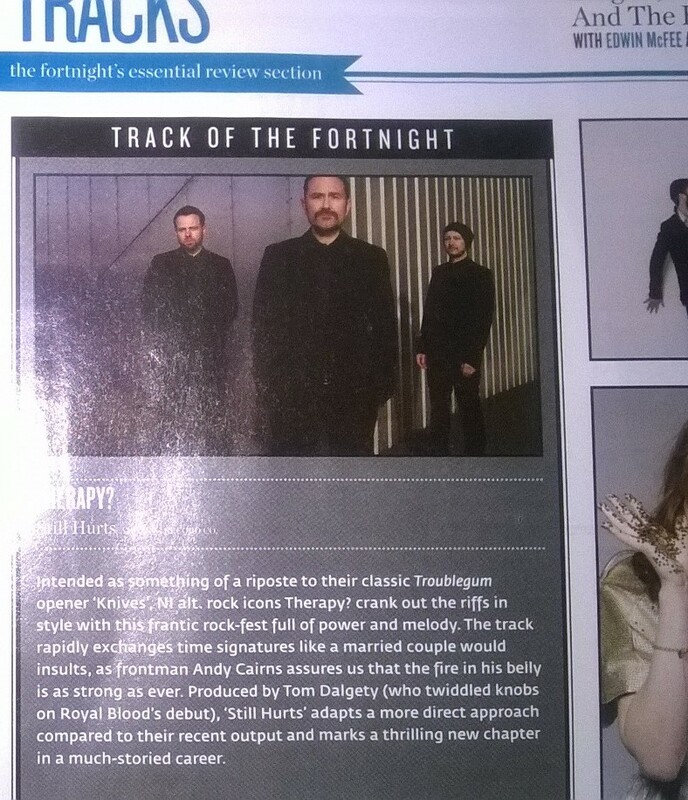 Here’s a reprint of my NI music news column that runs every fortnight in Hot Press. Yes, there’s a back-log of these.Sozzles! By the time you get your grubby little hands on this latest issue, NI’s favourite sons Therapy? will have just finished unleashing their very own day of rockening at the Tall Ships in Dublin. Now, if you read that last sentence and are currently lamenting your decision not to visit Ireland’s capital to see the trio unleash hell itself in the form of barbed riffs and songs about James Joyce doing dirty things with Andy Cairns’ sister, then fret no more faithful readers, as it has literally just been announced at the time of writing that the boys will be playing a headline show in Belfast at the Empire Music Hall on October 4. Topping the bill at the always ace Gifted Live extravaganzas, the gig will be the first time Therapy? have played in the venue since their near mythic date in 2000 and this full-on set should see airings of some of their new material from current LP A Brief Crack Of Light,so it’s shaping up to be a bit special. Also on the bill are Fighting With Wire, the Original Rudeboys, Silhouette, Jason Clarke and Robert Vincent and there will be special recorded appearances from Mojo Fury and more. Admission is a mere £10 and for more info check out giftedlive.com. See you down the front. Next up, well thought of Bangor indie types Kowalski have bagged themselves the support slot on the Cast of Cheers’ upcoming Irish tour. Kicking off in Whelan’s, Dublin on Sep 19, the rest of the dates include Roisin Dubh, Galway (Sep 20) Dolan’s, Limerick (Sep 21), the Forum, Waterford (Sep 22), the Pavilion, Cork (Sep 23) and the Limelight, Belfast (Sep 24). The band will also be joining Two Door Cinema Club for seven dates on their European tour this November and for a full run down check out twodoorcinemaclub.com. The organisers behind the immense Belfast Culture Night have revealed some details on this year’s shin-dig (which takes place on Sep 21). The mighty Kasper Rosa, Eatenbybears and Parachutes Over Paris all play a sure to incendiary show at the Black Box in the city and to keep updated on the event visit culturenightbelfast.com. Tags: Belfast, Culture Night Belfast, Fighting with Wire, gifted live, kowalski, The Cast Of Cheers, the Empire, Therapy?